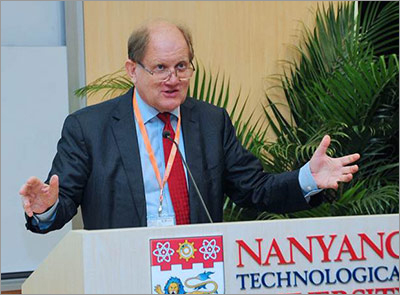 When Phil Baty, Editor of Times Higher Education (THE) announced the Asia University Rankings 2015 at the Elsevier Asia Pacific Research Intelligence Conference last month in Shanghai, the University of Tokyo still topped the list. But for the first time China overtook Japan as the country with the highest number of universities in the top 100 list – 21 compared to 19 from Japan. China’s strong economic growth over decades of investments in higher education is just one of many indicators of the increasing impact of Asia on the global higher education scene. Though rankings help universities focus on performance, influence decision-making and stimulate debate, they are but one indicator of what makes a university world-leading. At the meeting, collaboration, strategic recruitment and evidence based leadership were singled out as recipes for excellence in university rankings and beyond. And the key question discussed among conference participants: What are the principal strategies for success, not only in rankings but in the universities’ broad mission in society. 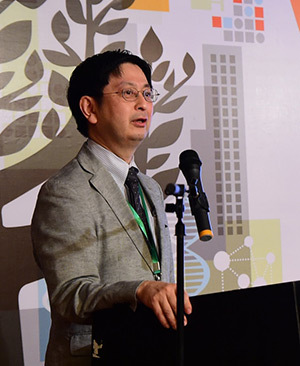 In his keynote presentation, Vice President Lin Shangli of Fudan University, one of China’s leading universities, illustrated how his institution is increasingly playing an active role in the urban planning of the city of Shanghai. Initiatives cited included strong industry-academic collaborations to boost the microelectronics and pharmaceutical sectors, as well as partnerships with economic think tanks to help realize Shanghai’s aspiration of becoming a leading global financial center. Choosing to strategically focus on three issues confronting society – longevity; environmental, economic and regional security; and innovation in an information society – Keio has promoted double and joint degrees, cross professorship appointments and researcher exchange programs and increased the amount of course content in English. However, Prof. Kokuryu felt that in addition to networks of researchers, this age of global connectivity is also demanding networks of institutional alliances. With increased competition and collaboration among universities, participants also raised questions about which metrics and measures should be used in decision-making when gauging a university’s performance. Prof. Benjamin Wah, Provost of the Chinese University of Hong Kong (CUHK) and Chairman of the Research Grants Council of Hong Kong, explained that the country has chosen to assess academic and university excellence based solely on peer review. If bibliometrics are to be used, there has to be more than just a single indicator, and as in the UK Research Excellence Framework, they should be used as an evidence base in support of peer review. Through his analysis of academic rankings, Prof. Wah concluded that while the reputation of a university might generally be considered a good indicator for institutions that are ranked among the top 100, he cautioned that statistical uncertainties tend to affect ranking results, and called for ranking agencies and universities to interpret ranking information with care. It’s crucial for younger universities to look at research excellence indicators outside the usual metrics to measure their performance. To better reflect progress and lay the foundation for research strategies, universities can start investing in niche research areas, strengthen their share of fast-growing technological fields, look at unique combinations of expertise and measure rate of growth in all the areas. Adding to the discussion on societal impact and calling for greater international collaboration, the British Council’s Regional Director of Education for East Asia, Dr. Halima Begum, questioned if present research efforts are invested in the right areas for the progression and advancement of global challenges. 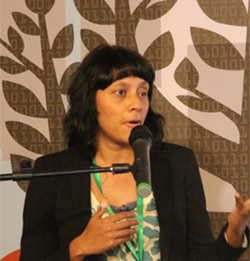 “How do academic and research communities, including Asian universities, shape an agenda to manage such international risks as the current European financial crisis and the resulting austerity, climate change, as well as social and financial inequality?” she asked. Dr. Begum suggested that international partner engagements such as those catalyzed by the British Council can help build a competitive research base focusing on these global issues. Without a doubt, leading Asian universities possess an international outlook, and forward-looking institutions are already evolving to play a greater role in addressing global issues. Renewed government interest and supportive funding policies, along with the crystallization of the university’s role in and contribution towards the greater societal good, are helping to shape the face of higher education in Asia. 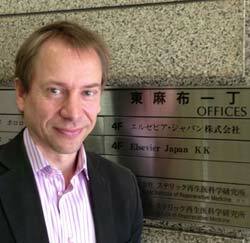 Dr. Anders Karlsson (@AKTokyo) is Vice President of Global Academic Relations at Elsevier. 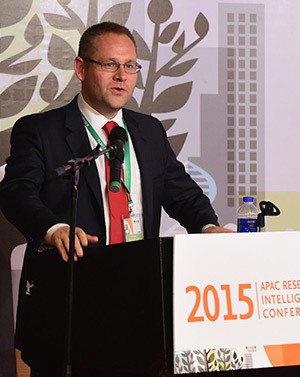 With Tokyo as his base, he covers the Asia Pacific Region. He has a background in science diplomacy, having headed the Embassy of Sweden Office of Science and Innovation in Tokyo for five years, as well in academia, serving as Professor of Quantum Photonics at the Royal Institute of Technology – KTH in Sweden for 10 years. He has a PhD in Electrical Engineering, and a M.Sc. in Engineering Physics, also from KTH. Based in Singapore, Jason Chan is the Director of Corporate Relations for Asia Pacific and leads all corporate, media and policy communications efforts across the region as well as acting as a central communications counsel and resource for Elsevier senior management in Asia. He is a communications practitioner of 18 years, having worked at EMC International, Seagate Technology and Hill & Knowlton. He has a BA degree in Mass Communications from the Royal Melbourne Institute of Technology (RMIT)in Australia and joined Elsevier in June 2013. 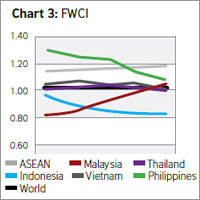 Conference: How can Asian universities build a strong global brand?